It’s natural that, the more popular a social network service becomes, the more attractive it is to spammers. Now, Twitter says it has 140 million active users, posting more than 340 million tweets a day and it has decided to do something about those pesky spammers. Twitter has decided to file a lawsuit in a San Francisco federal court against companies behind some of the most “popular” spam tools for the microblogging service. The companies owning TweetAttacks, TweetAdder and TweetBuddy will have some defending to do. And so will James Lucero (justinlover.info) and Garland Harris (troption.com). The lawsuit says that some of those companies have done things like offering software that helps spammers be more effective. In James Lucero’s case, things are a bit more interesting. The guy was spamming Twitter, promising users that they would get followed by Justin Bieber, but got them to go his cagey websites instead (ok, I have to admit this one is rather funny). Garland Harris wasn’t this funny. This guy had around 129,000 automated accounts (at the time the lawsuit was posted), sending out links to his website. Now that’s perseverance! Twitter wants monetary compensation between $75,000 and $300,000 from each of the parties. 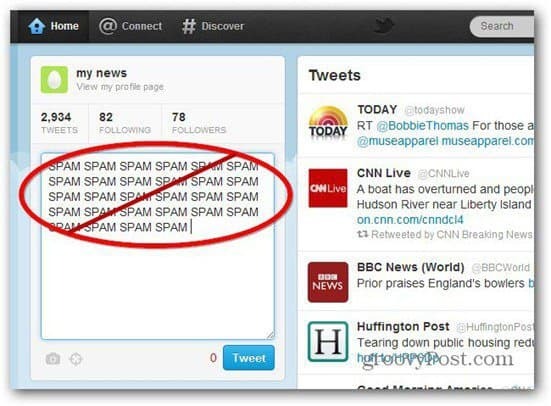 Twitter also announced some new spam-countering measures, launched earlier this week. It will also use its own link shortener to see if links in tweets go to malware or malicious content. It also advises users to report and block spammers. I think this lawsuit is a very good idea and I hope Twitter gets all the compensation it wants. Nothing’s more annoying on Twitter than spammers. And since I think spam is an invasion of privacy, did you know that Yahoo! is seriously supporting Do Not Track?